In the New Year , the Biosecurity and Animal Welfare team welcomed a new team member, Rod Freeman. Rod joins Katherine Research Station after spending a number of years working in various roles in the health, conservation, education and horticulture industries of Katherine. He has previously worked at Katherine Research Station for twenty years when the Weeds Branch was operating under the Department of Primary Industries and Fisheries banner. Rod’s role is Quarantine Officer, which includes doing fruit fly runs to monitor any Australian and exotic potential pest species of fruit fly and conducting National Plant Health Surveillance, which Rod says “involves checking high risk sites for specified target pests and diseases” that are not known to occur in the Northern Territory. 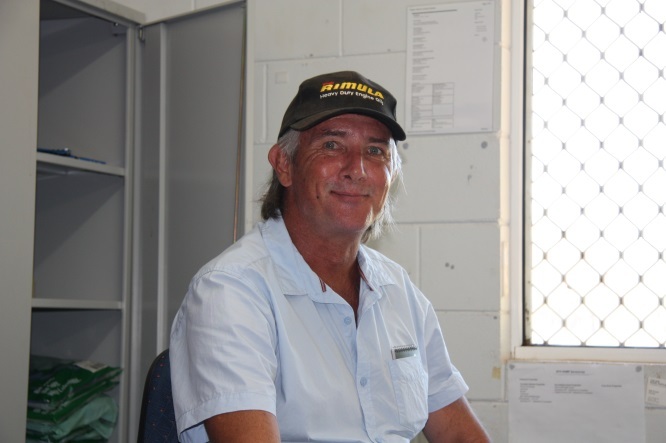 Although much time is spent out and about on fruit fly runs and surveillance from Pine Creek to Mataranka and everywhere in between Rod looks forward to working within the Katherine Research Station team and getting to know everyone better.